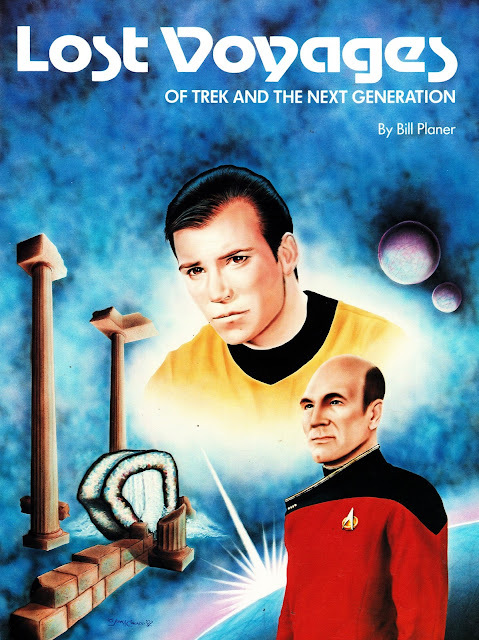 From August 1992: LOST VOYAGES OF TREK AND THE NEXT GENERATION. Pretty much every TV show generates more proposed episodes, and even full scripts, as part of the production process than are ever shot. Not every idea clicks creatively. Others fail to win over the broadcast brass. Some don't follow the (usually pretty strict) perimeters that define a show. And some, frankly, are just too complicated or expensive to pass muster on the small screen. This 1992 tome from Cinemaker Press looked back at some of the unshot scripts from STAR TREK's vaults. 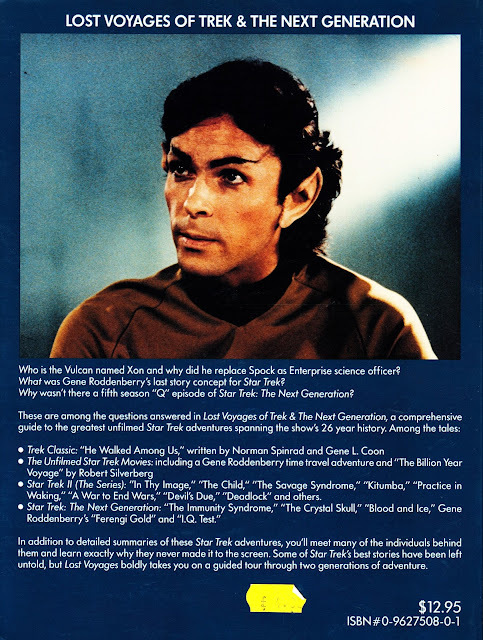 Not only did they have two two generations of TV shows (although TNG was still shooting) to look at but they also had the whole PHASE II debacle from the late Seventies which commissioned a whole season's worth of scripts before the whole project was scrapped (all the development costs were rolled into the inflated budget for STAR TREK THE MOTION PICTURE, further inflating its already stellar shooting costs). Plans for TMP itself were so fluid, whilst the studio flip-flopped between screen sizes, that several ideas were worked up... and then abandoned as either being unworkable or simply overtaken by events.